Welcome to Device Control! A shortcut where you can either respring, restart, or enable battery options right from the today widget! 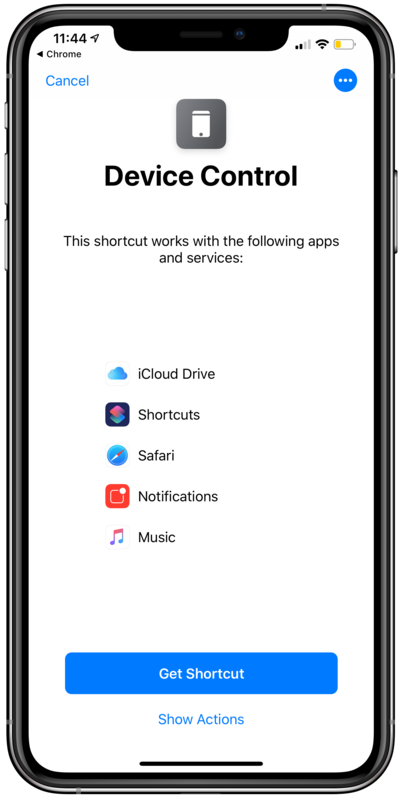 This shortcut requires a certain iOS to be installed on your device. To know what version you want to get what features you want, refer to the bottom of the page. Note: with iOS 12.1.3, the Apple Print Center respring now only occurs in the Today Widget. I also have future plans to make Device Control back to being Universal, meaning all iOS Versions are able to use it again. This is what keeps users lienent on updating, since of jailbreaks, unstable versions, etc. So far, only one feature is only on iOS 12.0 - 12.0.1, but other than that, you are able to use all other features. An update will be coming soon, as I can compile more features to make this a better update.